Giphar, a French association of independent pharmacies, is to pilot an in-store NFC experience that allows consumers to use an NFC phone to receive tailored information about individual pharmacy products. The NFC Pharma app, developed by Think&Go NFC and the University Hospital of Nice, enables consumers to set up — with the assistance of the pharmacist — a wellness profile detailing their dietary requirements. They can then tap a product’s NFC shelf edge label in the pharmacy to obtain detailed information and be notified if there is any risk to their health. 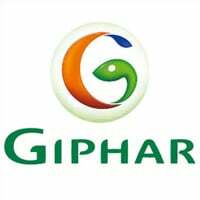 The NFC Pharmaservices solution’s primary aim is to strengthen the relationship between the pharmacist and customer, says Giphar, while also allowing consumers to make an informed choice on a product even when the pharmacist is too busy to properly consult with them. NFC Pharmaservices will also allow each pharmacy to offer promotional offers on products through the app, according to its own commercial priorities. The service is supported by the Provence-Alpes-Côte d’Azur region’s Paca Labs funding program and will be tested in a number of pharmacies from this month.